Find the newest Rio Vista homes for sale below. 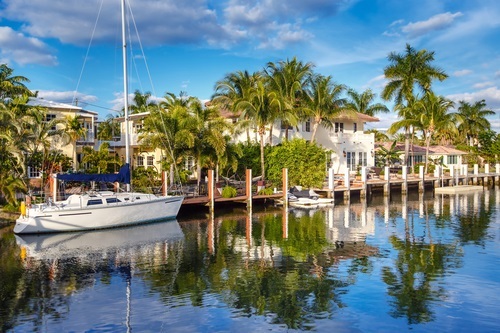 Rio Vista is a highly sought-after community situated in the heart of Fort Lauderdale, adjacent to the luxury neighborhood of Las Olas Isles. This luxurious neighborhood showcases estate homes on large properties, surrounded by lush tropical landscaping. Many Rio Vista homes for sale offer expansive water views and have private, deep water docks. The community of Rio Vista has a history dating back to 1925, and there are still some historic properties standing among newly developed luxury homes. Residents in this exclusive neighborhood enjoy easy access to a number of beautiful surrounding parks, as well as a wealth of shopping, and entertainment venues along nearby Las Olas Boulevard.